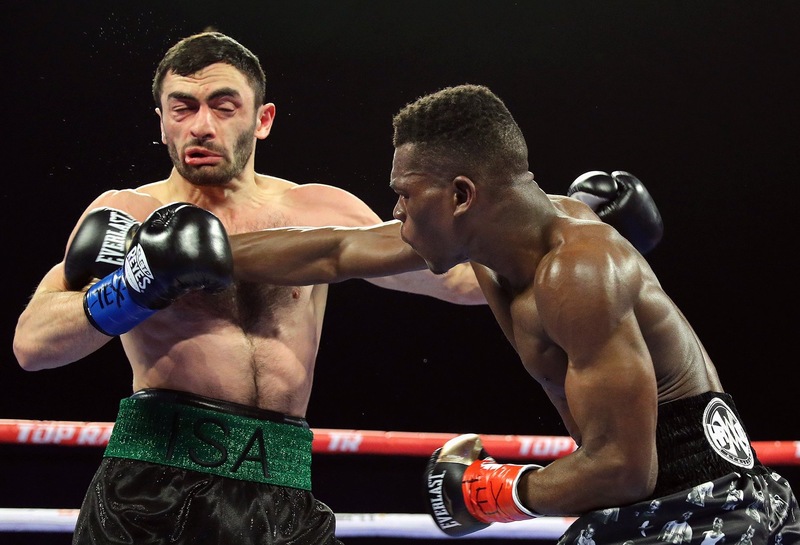 It certainly didn’t take long for Commey to continue his assault on the Russian in the 2nd round – 10 seconds in and Chaniev was down again. This time it was the hard left hook as Chaniev hit the canvas for the second time. Commey was in complete control. The chants from the 12,000 seater capacity stadium grew louder, as the crowd could sense the end for the Russian, and history for the Ghanaian. Chaniev beat the count for the second time, but that was his last contribution to the fight. 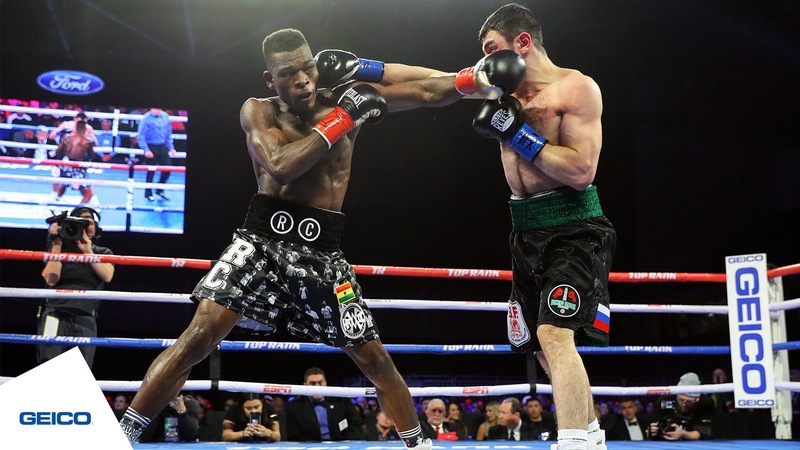 In three minutes and 39 seconds of sheer brilliance and artistry in the ring, Richard Commey dropped Isa Chaniev for the third and final time with an exquisite flurry of combination punches, ending with a sweet left hook. 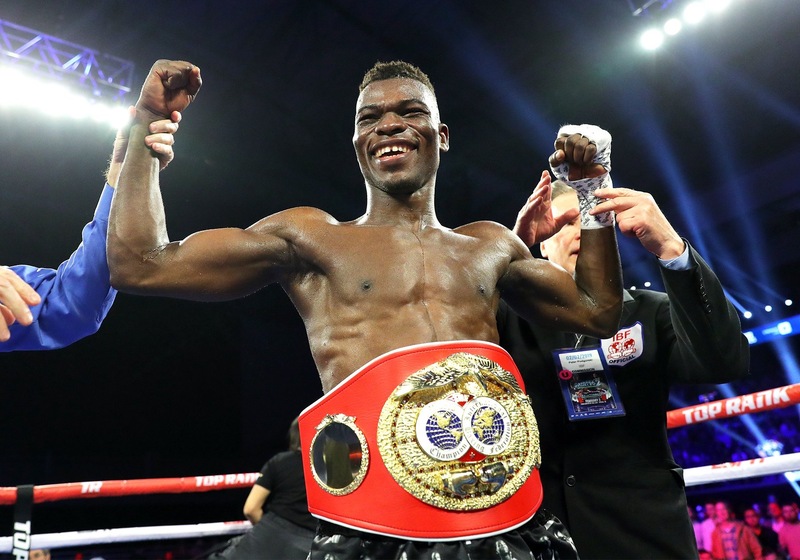 After a 9 year wait in his professional career, Commey had just used two rounds to make history and become Ghana’s 9th world champion. DK Poison, Azumah Nelson, Nana Yaw Konadu, Ike Quartey, Alfred Kotey, Joshua Clottey, Joseph Agbeko, Isaac Dogboe and now Richard Commey! His arms went up in the air, followed by a cheeky dance that caused a mixture of laughter and cheers in the crowd. The people’s champion had just become the world champion. The blood sweat and tears from the past turned to smiles. 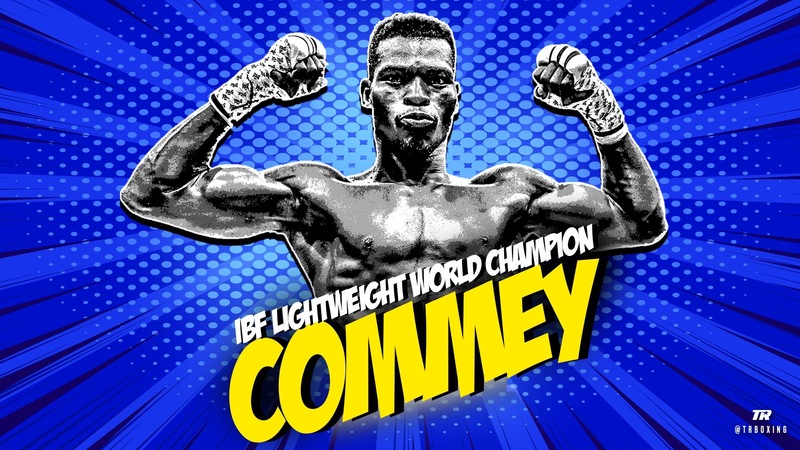 Commey captured the IBF lightweight title at the second time of asking and in doing that, fulfilled his lifelong dream.